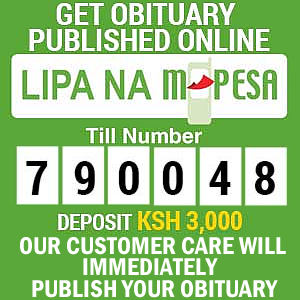 It is with deep sorrow and humble acceptance of God’s will that we announce the death of Samwel James Lang’o Owuora. Loving husband to Hellen, the late Herine, the late Dorsila, Truphosa and Dollice Lang’o. Father of Joan Oguda (Principal Nyawara Girls) Bob Lang’o (Chief Arujo Sub-Location – Homabay), Penrose Oyolla (Lutheran Special School), Carolyne George (Little Angels Nakuru), Elizabeth Ayayo Wiamen Primary School), Reagan Lang’o (Nyabisawa Girls), Mark Lang’o (Scout’s Commissioner, Homabay), Victor, Evans, Everline, Purity, Syprose, Herrine, Larry, Henry and Angela (Goshen Academy Rongo). Brother of the late Richard Okayo, the late Okoth Mineme, the late Esther Ajwang, Charles among others. 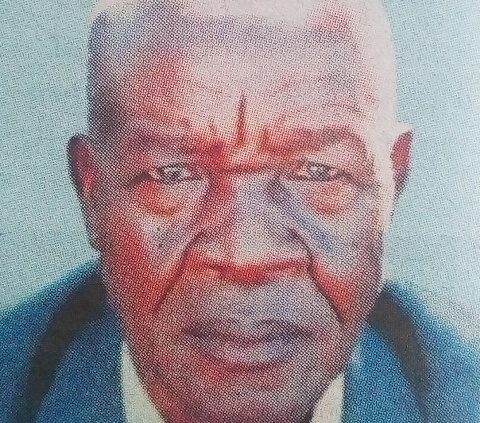 Father-in-law of Molly Odhiambo (Homabay High School), Lydia (Homabay Market, Caroline Kutteh (Radiro Primary School), Quinter, Judy, Mary, Beatrice, Lawrence Oguda (Rongo), Hezron Oyolla (Principal St. Stephen Menara Boys), Major George Ajuoga (4th Brigade, Nanyuki), George Ayayo (Busia), Stephen Onyiego (Laterite Ltd), Edward Oyugi (Mombasa), Rev. Samson Owino. Uncle of Julius, Polycarp, Benta, Pamella, Joyce, Lucy, Mary, Caroline, Maureen, Roseline, Peter Owade, Hellena among others. Brother in-law of Mereza Ajali, Pessila Juma,Grace, Norah, Roseline, Margaret, Eunike among others. Grandfather of Vin, Beryl, Cliff, Hellen, Finniace, John, Silvans, Hawkins, Eugene, Tracy, Favour, Birnice, Quincy, Lewis, Herine, Richard, Joy, Salvado, Steiner, Dockins, Stallon, Griffins, among others. He leaves behind 7 great grand children. 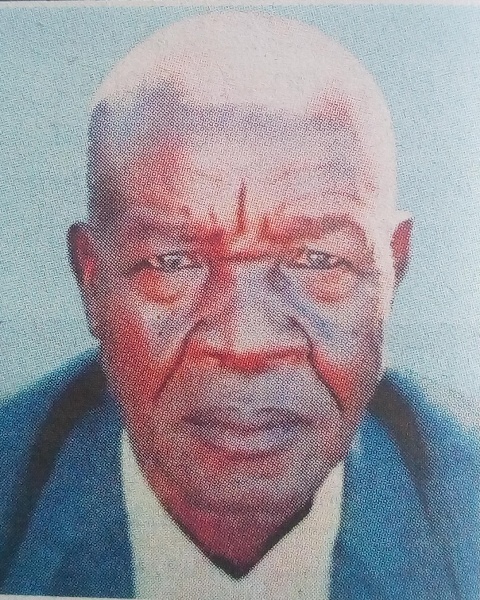 He will be laid to rest at his home in Pedo Village, Homabay Town on Friday 15th February 2019.